Assam NRC: The 40,07,707 people left out in the final draft of National Register of Citizens (NRC) can submit documents to prove their residence, Rajnath Singh told the Rajya Sabha and asserted that no coercive action will be taken against anyone. He also stressed that the entire process is under the supervision of the Supreme Court and is completely transparent. Asserting that the Assam National Register of Citizen is not final, Home Minister, Rajnath Singh, on Friday said that some people are trying to communalise and internationalise the issue of National Register of Citizens (NRC) but the government will ensure peace, harmony and public order is maintained. He clarified that 40 lakh persons have been left out in the final draft, not families, as mentioned by Opposition leader Ghulam Nabi Azad.and stressed that no coercive action will be taken against anyone. “Every citizen will get equal opportunity to prove their residency in due process. NRC is related to our national security. But there will be no discrimination and unnecessary harassment will not take place. We are committed to take the exercise to its logical conclusion,” Singh said in a statement in Rajya Sabha. He clarified that those left out from the list can submit documents such as land records, life insurance policy to prove their residence. “This entire process of preparing the NRC, it has taken place under the Supreme Court’s supervision. For further work, the court has already given directions. In a time-bound manner, the government is committed to identify genuine Indians. It is a fair, objective process. There has been no discrimination. People will also get a chance to file their claims and objections and even then if their names are not featured on the final NRC, they can approach the Foreigners’ Tribunal. 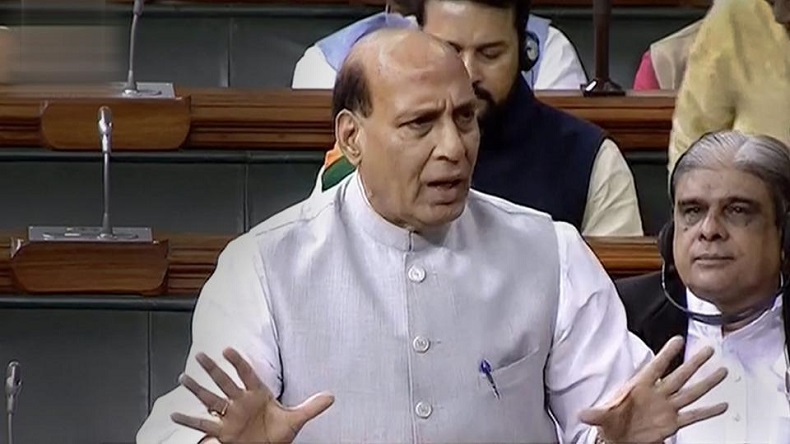 There will be no coercive action taken,” Rajnath told the Rajya Sabha. Proceedings in Rajya Sabha started amid protests by the TMC members over the all-night detention of their leaders at the airport in Assam’s Silchar. According to reports, the leaders were on their way to address public meetings against the NRC draft.